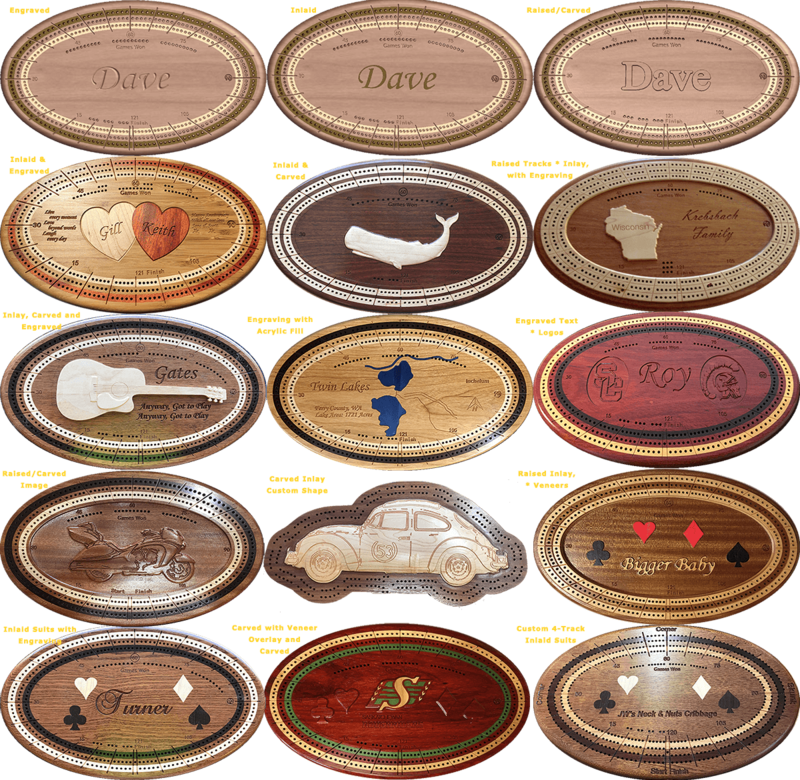 On this page you can choose all options necessary to build a custom cribbage board, including material for the board and track inlays, the type of personal content like and engraving or inlay of name, initials, monogram and/or logo. As you select and/or change options, an estimated price will be displayed. When done, you can choose to send it to us with further questions and to resolve any TBD choices, and we will send you a 3D rendering of the board. Choose one of the following options as the basis for building a cribbage board. Note, "Other" will not introduce a price, so we will have to create one for you. If you change your mind, simply choose a different option. 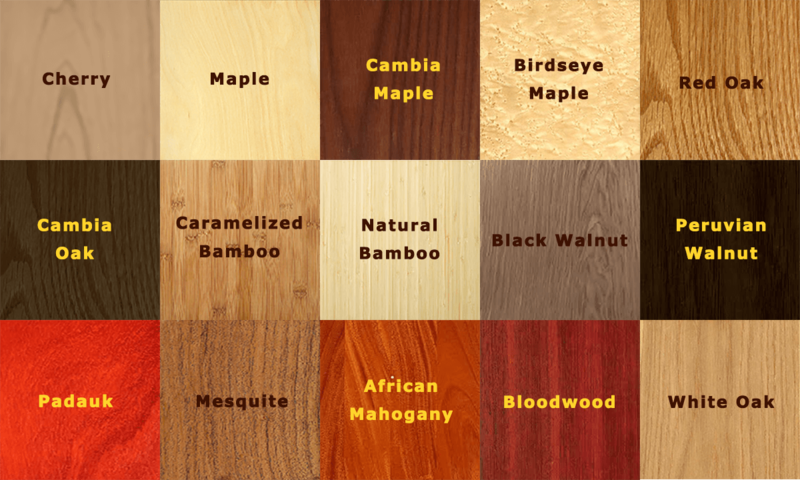 This is the primary wood used to craft the custom cribbage board. Please enter the wood you would like us to try to use for the body of your cribbage board. This defines the type of wood for the inlaid outer track, typically no charge except for "premium" materials. Please enter the wood you would like us to try to use for the outer track of your cribbage board. This defines the type of wood for the inlaid inner track, typically no charge except for "premium" materials. Please enter the wood you would like us to try to use for the inside track of your cribbage board. You have chosen a 4-track board and there is a middle track for which we need to define material. Please enter the wood you would like us to try to use for the inside track of your cribbage board. We will let you know if this material could impact the cost of your board. You have three primary choices and a couple of combinations. Choose from the list below. Engraved name, monogram or logo is included in the base price. If you prefer any of these to be done as engraved or carved in bass relief - or a combination of those, check the appropriate box and the cost will be tallied. Please enter the text or description of what you want engraved on your board. You can also upload a graphic for us to review. Please enter the text or description of what you want inlaid on your board. You can also upload a graphic for us to review. Upload graphic for engraving, inlaid work or bass relief. You can upload a graphic of the image you would like represented on your board. We will use that to create a rendering of it on your cribbage board. Please enter any further thoughts, comments or questions - or anything we haven't covered that you'd like to have incorporated into your custom wood cribbage board.